We were at Web Summit in Lisbon this week (please see photo below of the Lumen team with our new best friend, Al Gore). Lots of driven people disrupting things: Ecommerce, mHealth, prayer & lots of interesting people giving insightful presentations. But despite all the contrarian thinking, there were some fundamental assumptions that went unchallenged. Technology is making things better. Change is good. The way things worked in the past was wrong. budgets reaching a mass audience, but can now target individual customers using programmatic technologies. it sounds like a good argument, but then again, they would say that, wouldn’t they? Sometimes, though, new technologies give new force to old arguments. Good media buyers have always known that not all ads are equal : Ads that appear in quality environments are much more powerful than ads that pop up willy-nilly. This has been a tough argument to make in the face of programmatic technologies, which assume that it doesn't really matter where an ad appears, just that it appears in front on the right person. It's an argument that has greatly benefited ‘disintermediators’ like Google, and played havoc with the business models of many quality publishers. But Lumen’s data shows that the good media planners where right all along. Context counts. Two years of eye tracking data in the UK has shown that ads on quality sites - ones that invest in high quality content and elegant UX - are far more noticeable than the same ads appearing on the long tail. 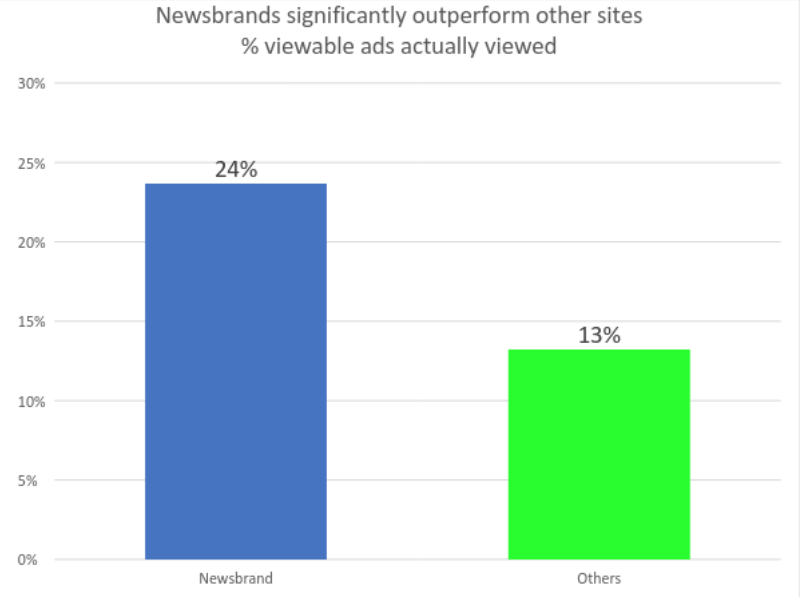 News brand sites are a good example: an ad has a 1-in-4 chance of getting noticed there, whereas it's 1-in-5 or more for the rest of the market. Even within news-brands there are differences. It’s often the simplest and most elegant publishers that produce the greatest amount of attention for advertisers. Less is often more. Lumen's technology may be new, but we're proving an age-old truth. Which makes you think again about the techno utopianism on display in Lisbon. Change is not good in itself. Much in ad tech is new – and bad. The evangelists of change are usually the beneficiaries of change. When it comes to disruptive thinking, we should follow the money.